Who knew color could be used in such intricate, emotional ways? 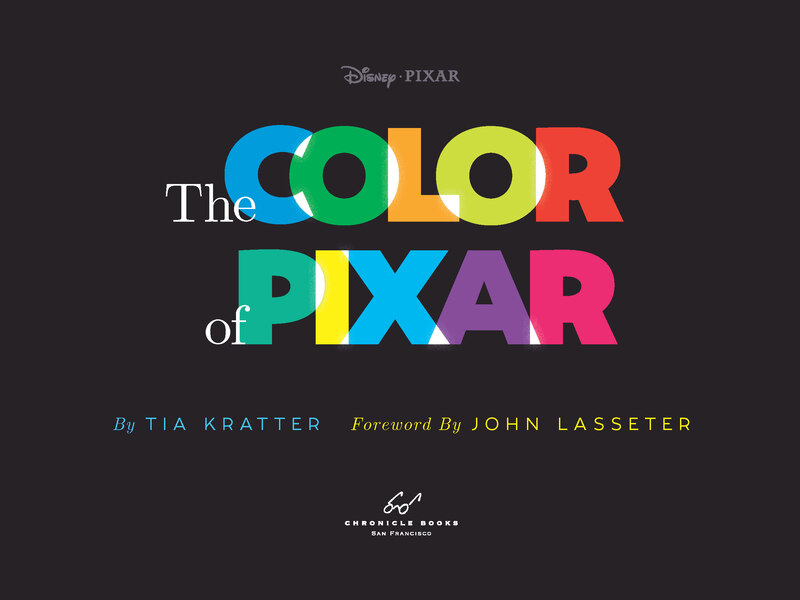 The Color of Pixar by Tia Kratter is an exploration of the entire color palate through the visual images of Pixar animated films. The pages are arranged in color order, starting with white and ending with black with purple, blue, green, yellow, orange, and red in-between. Each page has a different image on it corresponding not to the film but to the dominant color in the image. Every film from the Pixar library is featured, from Toy Story through the upcoming Coco. But what really caught my attention was the subtle attention to detail as I poured through the book. Looking at the edges, you’ll see a literal rainbow of colors, but the divisions in the book aren’t simply “purple” but varying shades of purple – lilac, periwinkle, violet, and more. In fact, there are varying shades of every color including white and black. You’ll see a full rich display of different tints from magenta to burnt orange to teal and every other shade you can imagine with a corresponding image for each. 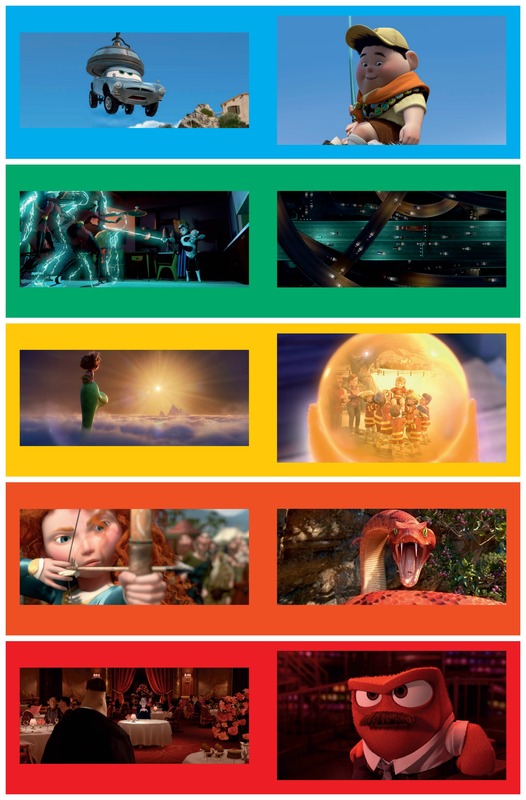 It was fascinating to see in detail what depth of color Pixar uses to not only “color” their films but to convey depth of emotion and poignancy. Another subtle but powerful aspect of these images is what Tia called “harmonious juxtapositions.” There are times when you’ll see an image that conveys emotions very different from what you might normally associate with a color. For something blue-green you might expect a peaceful or aquatic image, but in the book there is a sharp picture of Merida with her mom (as a bear) that shows her with an expression of fright which the color only heightens. There is also a bright yellow picture of Wall-E from the film of the same name. Normally you might expect a bright yellow to convey a sense of warmth, spring, and sun. There is warmth and sun, but it is raining destruction all around our poor robot friend. These aren’t the normal, happy images we see in many Disney books, but a very in-depth examination of the full range of feelings evoked from these characters and settings. What’s also great about this collection is you’ll see stills from the films you love but seem unfamiliar. Details will pop out at you from movies you may have seen over and over again and yet somehow never saw. 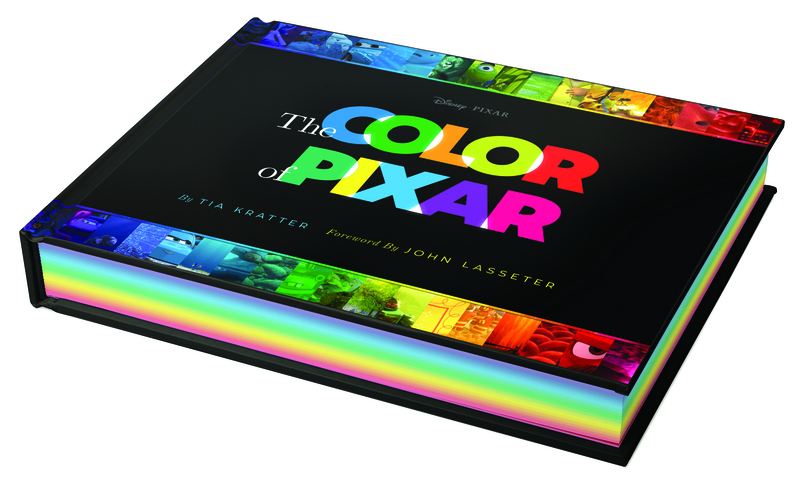 If you’re a fan of Pixar animation, this is a book you’ll be sure to enjoy and want to pick up again and again. Next Next post: Pin Trading 201: Sailing the Seven Seas…with Pins!